The price tag for locksmith services especially in Melbourne can be restrictive. LocksUnlimited understands this. So, we came up with some money saving tips to help you proactively lessen the probability of needing to call for an emergency locksmith. Smart money saving tip 1. Always keep a spare key. Losing your keys can become an expensive accident. So, it is wise to get spare keys before you need them. Create spare keys while it is still convenient. It is as easy as getting your keys copied. So, while you still have your home, business, or car keys, ensure to call your local locksmith in Melbourne to make duplicates for you. It is wise to have spare keys on hand in case the original breaks or is lost. Getting a key copied or duplicated costs a fraction of what it costs to have a locksmith rekey or create a brand-new key for you or buying new locks. Smart money saving tip 2. Be smart when changing locks. Changing locks can become expensive whether it is for your home or business. One way you can save is to buy the locks that you need yourself. You can then call a locksmith in Melbourne to install it. But you should know how to choose the right lock or you can leave it to the professionals. You can do this by simply calling a mobile locksmith in Melbourne to help you. Or better yet, cut cost by simply rekeying. LocksUnlimited is experts in re-keying. Smart money saving tip 3. Use quality locks. Good quality, durable locks are more cost effective because they last for a longer period. You may spend a little bit more on the purchase but you get to save because you won’t be changing locks as often. Use the quality, expensive locks for exterior doors and the less expensive ones which can easily be replaced for interiors or easily repaired doors. Smart money saving tip 3. Research and keep a locksmith contact handy. Always be prepared by doing your own research about locksmiths in your area. Choose the one you can trust and keep a master locksmith contact number handy. 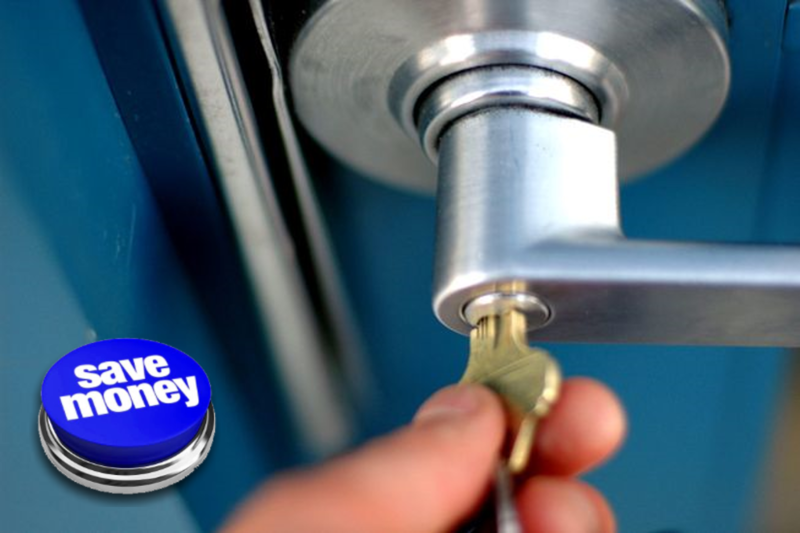 A little planning can save you money when it comes to locksmith services. LocksUnlimited is your locksmiths on the move in Melbourne. Contact us at 1300 303 720.